Board meetings are held the second Thursday of every month at 7 pm. via conference call. All members are welcome to call in. Please contact a board member for the number and entry code if you are interested in participating in a call. Members can also request a digital copy of the meeting minutes, please contact a board member for the most recent copy. Rachel Field is a graduate of Winona State University where she received her BS in Therapeutic Recreation. While in school, she completed an internship at The Courage Center (now Courage Kenny Rehabilitation Institute) in Golden Valley, MN in the Spinal Cord and Brain Injury Units. After graduation she worked at Hennepin County Medical Center in Minneapolis, Minnesota for two years on the Inpatient Psychiatry Unit before moving out to the Pacific Northwest. 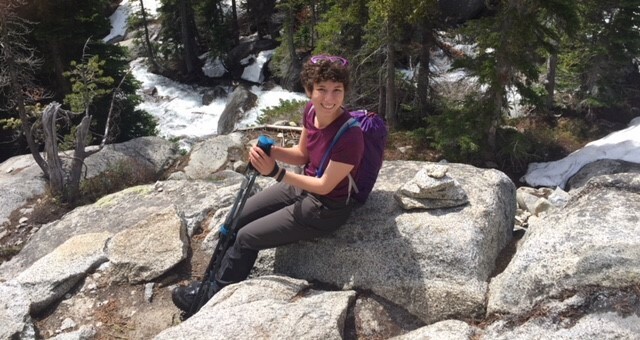 Once she arrived in the Pacific Northwest she continued to work in a variety of mental health settings working with both at-risk youth as a Wilderness Therapy Instructor and in Inpatient Mental Health at Swedish Hospital. Rachel currently works at Harborview Medical Center on Acute Care, specifically working with pediatric patients and their families. 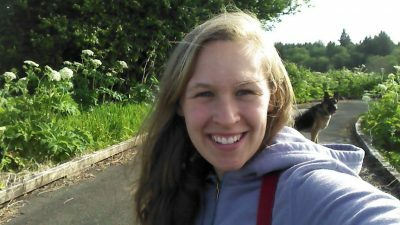 Rachel enjoys hiking, camping, and taking her Black Lab “Axel” on adventures throughout the Pacific Northwest. Whitney obtained her degree in Therapeutic Recreation from Eastern Washington University in 2013. After completing her internship at Oregon State Hospital, she continued to work in mental health settings. Whitney currently works at Swedish Hospital and has spent the last four years working for the City of Seattle, Specialized Programs. Whitney is actively engaged with Special Olympics and enjoys hiking, yoga, and training her Saint Bernard "Moose" to become a therapy dog. Rebecca Leavell studied Therapeutic Recreation at Western Washington University, and graduated in March of 2014. Rebecca currently works at a residential facility that serves adults with developmental disabilities in Selah, Washington. Rebecca worked in the Recreation department before moving to her current position as a supervisor for Support Services. Rebecca loves the opportunity she has to improve the lives of individuals with disabilities. Her favorite accomplishment at the facility she works at currently, has been establishing an adaptive cycle program. In her leisure time she enjoys spending time with her husband, dog and chickens while being outdoors. Hannah earned her degree in Therapeutic Recreation from California State University, Sacramento in 2016. After completing her internship at Sacramento County Therapeutic Recreation Services, she followed her passion for community recreation at the Gilmore Senior Center in El Dorado Hills, CA. Hannah later moved to Seattle and currently works for the City of Seattle's Specialized Programs. In her free time, Hannah enjoys playing golf, watching baseball, and exploring outdoors. Jane's passion for Recreation Therapy began as a teenager when she volunteered for MDA summer camp and fell in love with providing individuals with special needs normal life experiences. She graduated from CSUN with a BS degree in Therapeutic Recreation in 1987 and has been working professionally as a CTRS for 30 years. She has enjoyed a rich career which includes working in Pediatrics at Rancho Los Amigos Medical Center in CA to Acute Rehabilitation at Swedish Medical Center in Seattle. For the past 5 years she has been working in Mental Health which includes one year at WSH and one year at RJD Correctional Center in CA. 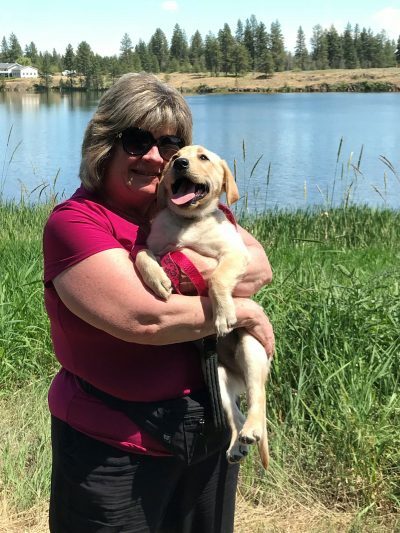 Jane, her husband, dog, and 2 cats recently relocated to Cheney, WA and for the past year she has been working at Kootenai Behavioral Health in Youth Acute in Coeur d’Alene, ID. She is now working full time as a CTRS and MHS on Youth Acute and feels very fortunate that her passion for RT continues to flourish. She is a WSTRA Past-President and BOD member, 2007-2010 and looks forward to connecting with her fellow RT’s in Eastern WA. In her free time she enjoys going for walks with her yellow lab, Barbie, gardening, reading and her husband’s fabulous cooking. Michelle is a 2013 phase graduate from Western Washington University’s Therapeutic Recreation program. Since graduating, Michelle has worked in a community setting for young adults with disabilities, in an acute inpatient behavioral health setting, and a sub-acute skilled nursing facility. 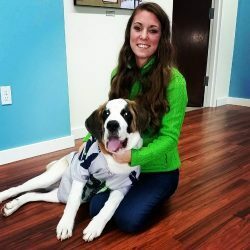 Currently, she works as a per-diem Recreation Therapist in several Overlake Hospital departments, including the outpatient partial day hospitalization program, inpatient behavioral health unit, and Overlake Specialty School. 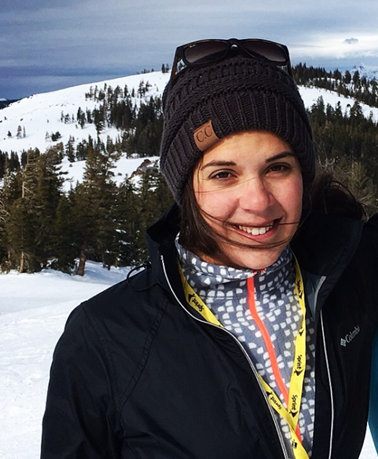 In Fall 2018, Michelle started graduate school at the University of Washington to pursue a Master of Social Work degree, to continue developing skills in the mental health field and strengthen her group therapy facilitation. In her leisure time, Michelle enjoys hiking, improv, soccer, karaoke, vegan food exploring, and cuddling with her kitty.